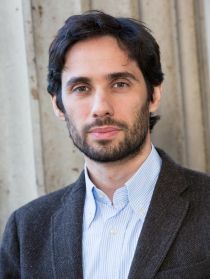 Luigi Minale is an Assistant Professor at the Department of Economics of the Universidad Carlos III de Madrid. Prior to joining UC3M he completed his undergraduate studies at Bocconi University in Milan and received his Ph.D. in Economics at the University College London in 2015. His fields of interests are Applied Microeconomics, Labour Economics, Migration, Development and Political Economy. Luigi joined CReAM in 2009.